Fascia Training Program for – Athletic therapists/trainers, medical professionals, health care professionals and strength and conditioning coaches. 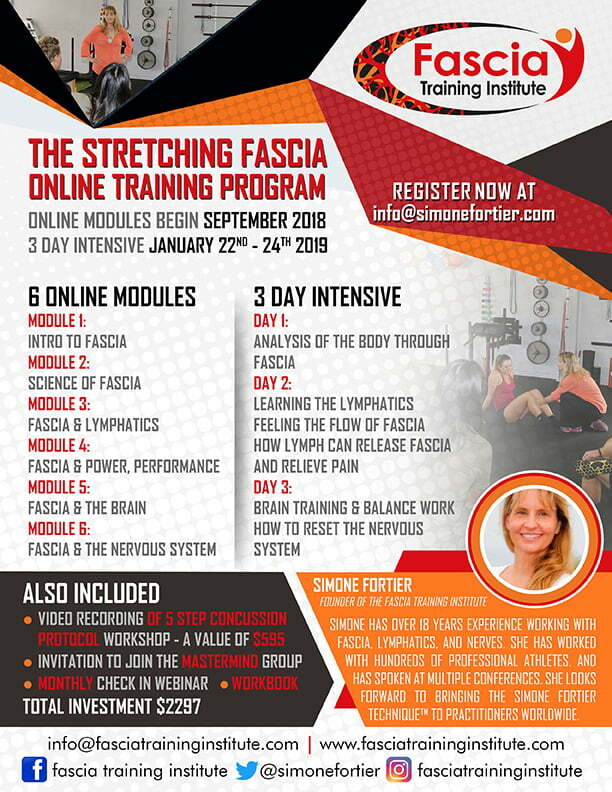 The Fascia Training Institute is pleased to announce the six module online training with a three day intensive workshop starting Fall 2018. This course is designed specifically for those with a solid understanding of anatomy and a desire to dive deep into the fascia, the lymph, and the brain to enhance their role in performance, training, therapy, and rehabilitation. Module 1: Introduction to Fascia – learn the language of the Fascia Training Institute and the practical application of fascia. Module 2: Science of Fascia – an in-depth look a the classification of fascia and what that means to you. Module 3: The Connection Between the Lymph and the Fascia – the lymph system will be defined and discussed. Module 4: How Fascia Affects Power, Posture, and Pain. Module 5: Discover the Fascia Involved in the Brain, Concussion, and Athletics. Module 6: Fascia and the Nervous System and How They Communicate. There will be a quiz at the end of every module. Three day intensive training program in being held in January 2019. 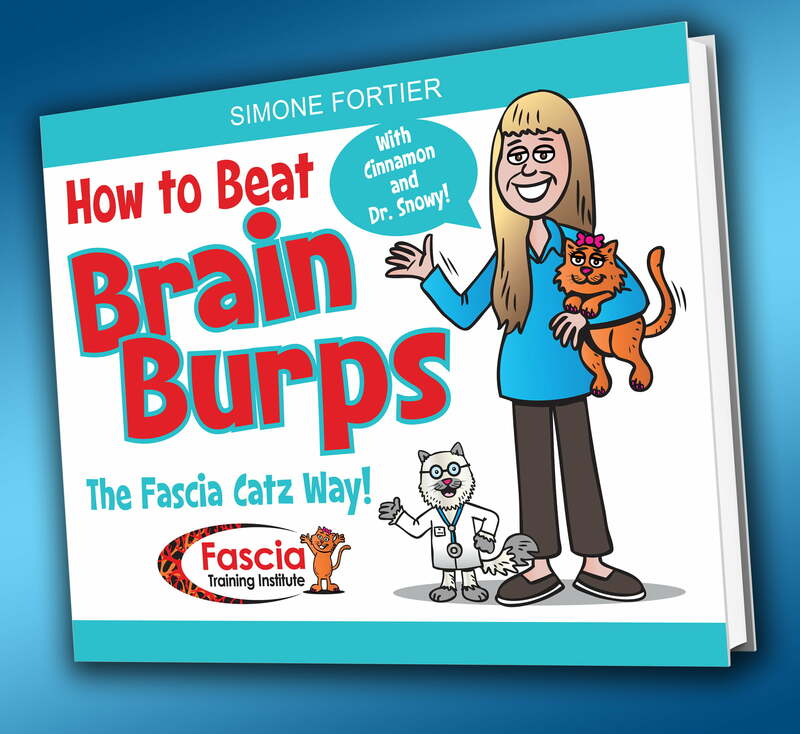 For more information on other workshops or how to bring Fascia Training Institute to your city or event email info@simonefortier.com or call 403-422-0881 or 760-702-1064.